Introduction: Gena Philibert-Ortega is a genealogist and author of the book “From the Family Kitchen.” In this guest blog post, Gena gives advice and provides online resources for planning your summer genealogy vacation. What do you have planned this summer? Taking a vacation? How about a genealogy vacation? While it may be hard to convince the rest of your family that a vacation composed of genealogical research is a good idea, there are trips and tours to satisfy everyone’s interests and budget. Whether you want to focus on just genealogy research or you also want to see the world, there is something for you. Photo: cruise ship. Credit: David Ortega. Ever consider traveling to your ancestral home? Whether that’s here in the United States or “across the pond,” there may be a heritage tour that can help you see the sights and take in some family history research. For example, Genealogy Tours of Scotland run by genealogist Christine Woodcock is an opportunity to do onsite research in Scotland, with assistance from local archivists and researchers. This annual trip includes 10 days of research at ScotlandsPeople Centre, the National Library, and more—as well as time for touring and experiencing the Scotland of your ancestors. Various heritage tours exist worldwide. To find one in the area of your ancestor’s hometown, try Googling the name of the country and the phrase “heritage tours.” Some travel companies offer several heritage tours including the company Family Tree Tours. OK, maybe Salt Lake City is not “the” Promised Land, but it comes pretty close for family historians. Many genealogists dream of an opportunity to go to Salt Lake City to research in the Family History Library. It can be intimidating to go to a place and do family research when you’ve never been there before. A retreat might be the answer to help you not only navigate your way around the Library and maximize your research time, but also to benefit from the expertise of those who are familiar with the Library and Salt Lake City. The Salt Lake Christmas Tour, sponsored by Family Roots Publishing, is in its 30th year and features genealogy professionals providing educational lectures and assistance at the Family History Library. This tour attracts a large group and many attendees participate year after year. Want to go to Salt Lake but still be able to ask someone for help? Consider taking professional genealogist Michael John Neill’s annual Library Research Trip. For a nominal fee you can join Michael at the Family History Library for a week, with an optional morning educational presentation and assistance as you research throughout the day. You can read more about this year’s trip and plan for the 2015 trip at http://rootdig.blogspot.com/2013/10/salt-lake-family-history-library.html. Where do you want to sail? A cruise is a great vacation idea—and when you add a vacation destination with a genealogy education you have the perfect get-away. There are several genealogy cruises that you may want to consider. United States software company Legacy Family Tree’s yearly cruise combines exotic locales with speakers on a variety of topics. This year’s genealogy cruise is unique: it’s a back-to-back cruise opportunity with the first leg of the cruise, two weeks, starting in Japan and making its way to Hong Kong. On the second leg of the tour, you can concentrate on vacationing with stops at ports in Thailand, Vietnam and Singapore. As of this time, classes and speakers have not been announced but you can read more about this once-in-a-lifetime opportunity on their website. If you’re unsure about being out to sea for two weeks to a month, then maybe a shorter cruise would be of more interest to you. Legacy announced that in 2015 they will have a one-week Western Caribbean cruise. Another genealogy software company, Wholly Genes (the makers of The Master Genealogist), has its annual cruise this year in the late Fall. Organized by Heritage Books, this year’s cruise will leave from Los Angeles and visit the Mexican Riviera. You can learn more about the speakers on this cruise by visiting their website. 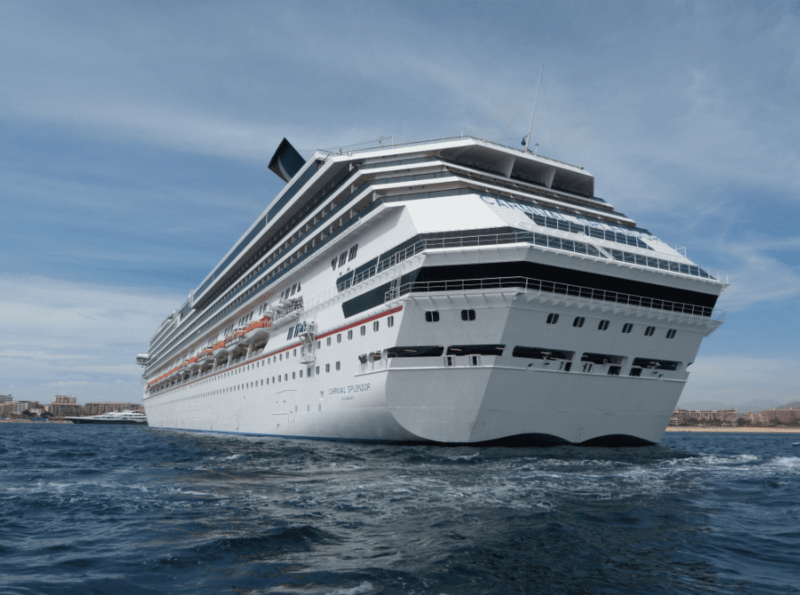 This cruise will feature 17 hours of “genealogy, technology and DNA instruction.” I’ve been on a cruise to the Mexican Rivera in November and it’s a great time to leave the cold and enjoy some Mexican sunshine. Are you a seasoned cruiser? Looking for more frequent genealogy cruise opportunities? Consider Australian-based Unlock the Past’s cruises. With multiple cruises each year, Unlock the Past and their international team of genealogy professionals has something for everyone. Cruises for the next three years include trips to the British Isles, Australia to the Baltic, and a Transatlantic voyage. If you’re not sold on the benefits of a genealogy cruise, I would suggest their web page 20 Reasons to Join an Unlock the Past History & Genealogy Cruise. Maybe you like to strike out on your own. You might want to consider putting together your own genealogy trip that combines visiting your ancestral homeland with research opportunities. How do you start? Make a list of all the travel details you will need to sort out, including transportation to your destination and transportation while you are there, as well as lodging and food. You may want to plan those details on your own with the help of a discount site like Kayak. For genealogy vacation destination ideas, be sure to check out our Genealogy Travel board on Pinterest. Follow Genealogy Bank’s board Genealogy Travel on Pinterest. Next, figure out what family history research can be done while you are there. Identify nearby libraries, archives, and museums and what resources they have. Make sure to exhaust online digitized items that you are able to access from home so as to not waste your time while you are there. Email librarians and archivists with questions about on-site research. You might even consider contacting a local genealogist in the area for a consultation, or to get help navigating repositories while you are there. There is a real benefit from working with someone who knows all of the ins and outs of an area and the repositories. However you decide to take your next genealogy trip, plan ahead to make the most of what is offered. And most of all plan to have lots of family research fun! Travel Tip: When I’m taking a genealogy trip I try to pack as light as possible just in case I pick up some books or other research materials along the way. A SmartPhone or Tablet is a must. With this one tool you can take photos, scan images, audio or video record your travels or interviews, refer to your family tree through an app or via a cloud storage site like Dropbox, take notes, refer to research plans, get directions, and surf the Internet. You are so right. That’s such an important aspect of travel/research planning. Not only can operating hours be an issue but some materials may be stored off site which means it can take a few days to a week to retrieve the items. So contacting the repository first is a must.